Are you living in fear of all the germs that will be surrounding your baby as it navigates its first cold and flu season? I feel your pain! I stared at everyone who came near my baby in their first winter months as if I could see those microscopic germs with my bare eyes. And sure enough, despite my best measures, my fears came true — my baby came down with a cold that had me tiptoeing into their nursery to see if they were still breathing okay. It was so scary, but if there’s a silver lining to it, it showed me how resilient babies could be. As a result of that experience, I was able to come up with a bunch of do’s and don’ts I’m happy to share with other parents. And I found some great products that have made my life easier and that I would recommend if you’re looking for aids to get you through this winter season. Sometimes the best offense is a good defense. It’s always better to try to stop your child from getting sick than it is to take care of them when the damage has been done. Here are some of the big things you can do to keep those germs at bay. Get a flu shot. You spend more time with your baby than anyone else does, so you are the primary person who has the opportunity to expose them to germs. A flu shot will cut down on your chances of bringing that virus into your home and sickening your baby. Frequently wash your hands when you don’t feel well, and of course, after you cough or sneeze. Hopefully, that will protect your baby from getting your germs. Breastfeed your baby instead of giving them formula if possible. Breastfeeding protects babies, with fewer colds for those who are breastfed instead of given formula (source). Don’t allow sick visitors in your home. They can wait until they are better to see you and the baby. If they don’t like it, that’s too bad — your job is to protect your baby, not spare their feelings. When you go shopping, use a shopping cart cover or keep your baby in their car seat where they can’t touch anything. Make sure you get your baby all of their vaccinations. You’ve been diligent about taking steps to keep your baby well, but you lost that battle. You won’t lose the war, though. Nurse your baby back to health with these do’s and don’ts. Keep your baby hydrated: Your baby needs fluids more than ever, especially if they have a fever. Their appetite might be down some, but keep offering them breast milk or formula frequently. To avoid wasting that precious breast milk, offer them an ounce at a time if you have a freezer stash of pumped milk available — that way if they refuse it, you aren’t losing a huge amount. 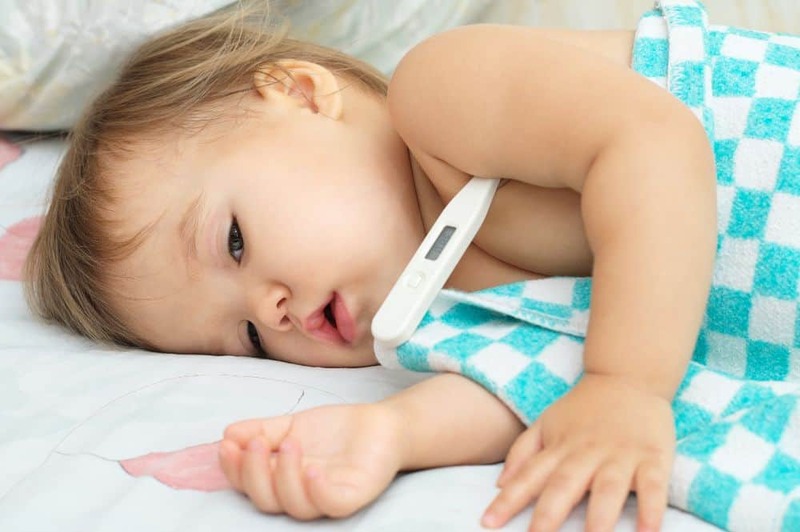 Keep an eye on the fever: While a 5-year-old may be able to spike a 103-degree fever and not be any worse for the wear, that’s much too high for a baby. If they’re younger than three months old, call a doctor if their temperature exceeds 100.4 degrees. Give extra snuggles: Those snuggles are going to make you both feel better. They’ll want the extra attention and you’ll be glad to give it. Don’t underestimate the power of your love! Make sure you get some rest too: You’ll be exposed to the same thing your baby is, so you need to keep your immune system in tiptop shape. It can be tempting to give up all your sleep to ensure your baby is fine, but make sure your partner is pulling their weight too. Sometimes moms give too much and shortchange themselves. Gently use an aspirator to clear the nose: If your baby sounds stuffy, it’s fine to see what you can do to carefully remove mucus or snot. To help with aspirator duties, you can use some saline drops first to loosen up that congestion. Set up a cool-mist humidifier in their room: This will help with the congestion and not pose any burn risks you’d get with other humidifiers. Avoid fever reducers until age appropriate: Don’t give ibuprofen to a baby under six months of age or acetaminophen to babies under two months of age (source). Always ask your doctor for proper dosing amounts so you don’t give your baby too much medicine. Skip the Vicks VapoRub: It’s not safe for those under two years old (source). It can cause breathing issues, particularly if you put it right under their nose. There are other ways to make your baby feel more comfortable. Watch how much clothing they’re wearing: Don’t overdress or underdress your baby (source). Look for a happy medium, so they can feel cool if their fever is breaking and feel warm enough when they are spiking a fever. Gauge how comfortable you are in the room and use your judgment from there. Never give your baby cough or cold medicine: It’s dangerous for children (source). The risks outweigh the benefits at this age. Don’t panic: While you should keep a close eye on your child, don’t freak yourself out. Remember, kids get over the flu and colds all the time. You should be watchful and vigilant, but try not to get too worked up — your baby will pick up on your stress. Can you survive cold and flu season without some of these things? Yes, you can — people have been doing it for hundreds of years. But if there’s a way to make my baby more comfortable, and give me peace of mind and the ability to spot a problem before it comes worse, sign me up! Let’s look at some of my favorite products and why I think they’re so great. 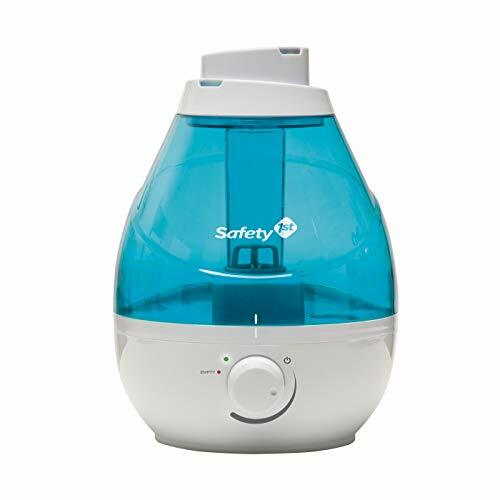 Cool mist humidifiers are good for the whole family during winter when the indoor air gets dry from the heat running all the time. They can help ease congestion and even prevent bloody noses that are caused by dry conditions. This humidifier covers the whole room with its 360-degree mist outlets. Plus, with no filters to change, you don’t have the added cost you have with some other humidifiers. And since it runs quietly, you don’t have an annoying humming noise coming from your baby’s nursery that can mask any other noises. 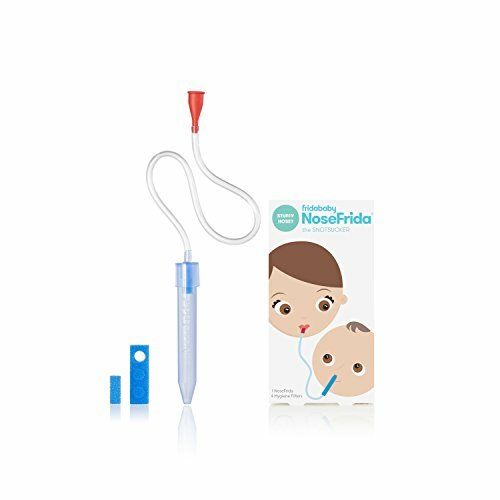 If the idea of using a traditional bulb aspirator intimidates you because they seem too harsh, you might like the NoseFrida. This is a lot different than those hard-to-clean bulb aspirators. It uses suction you provide to clean out your baby’s nose gently. It’s easy to use and effective. And, although it sounds a bit gross, the unit is dishwasher safe on the top rack. Because forehead thermometers are virtually impossible to use on a squirming, crying baby, you need another method of taking temperatures. 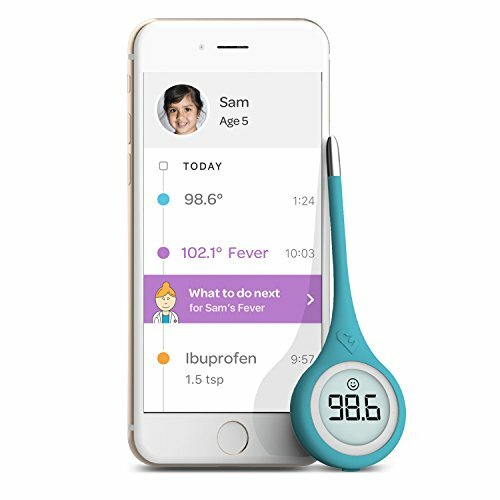 I like a multi-functional thermometer like the Kinsa Quickcare because you can take a baby’s temperature under their arm with it. It gives you a quick readout in just seconds. But what sets this apart from ordinary digital thermometers is that you use it with your smartphone. You can set up a profile for each family member which includes their age. Once you’ve taken their temperature and it shows there is a fever, the app will let you know what you should do next. That can be reassuring for new parents. Boogie Wipes may seem like an extravagance you don’t need, but when your baby has a cold and you find yourself wiping their nose a lot, it won’t take long before they get a red, sore, and potentially crusty nose. 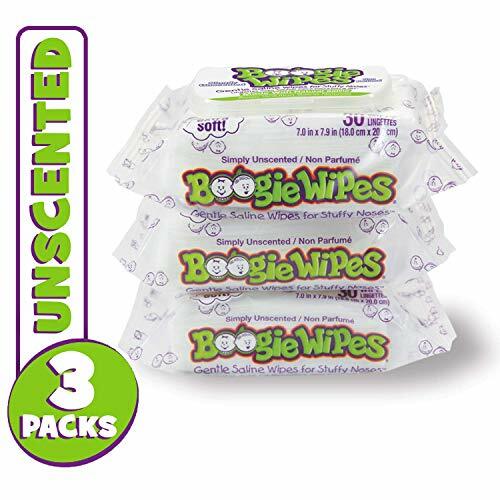 Boogie Wipes, although they are a bit pricey, can prevent that problem. The saline in the wet tissues helps ease congestion and clear up that crusty snot that sticks to their nose. The wipes also contain aloe, chamomile, and vitamin E to soothe their noses, which is good news since it doesn’t take much to irritate their delicate skin. The tissues come in an unscented variety you may want to consider for your infant. Toddlers might enjoy the fresh or grape scents they have. 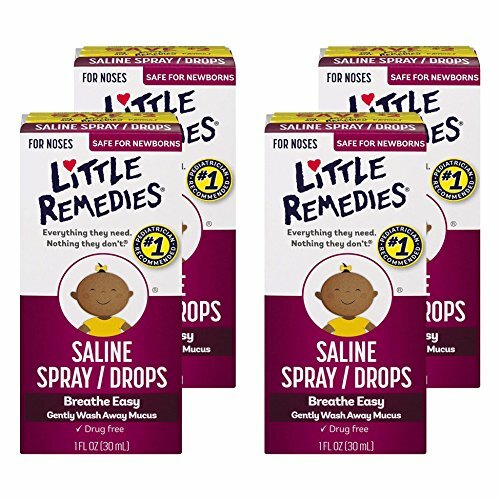 Saline drops help clear congestion — that’s good news for any mom who has ever lost sleep while worried about how their baby is getting any oxygen through that stuffy nose. It’s terrible to hear those little nasal passages all plugged up. Little Remedies spray/drops will help dissolve that mucus so your baby won’t have to work as hard to breathe. I love that these don’t contain any alcohol. I like to use these to loosen up the congestion and then use the NoseFrida to remove it all. 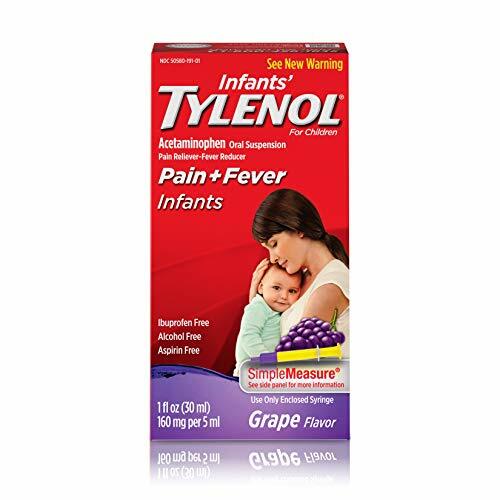 When you want to keep a fever reducer on hand for your baby, it’s hard to beat Tylenol. It contains acetaminophen, which is inexpensive, effective, works quickly, and has a long safety record. Grape seems to be one of the most popular flavors with my children. They never really seemed to enjoy the other flavors as much when they were infants. I never give Tylenol to my children for mild fevers, but it’s vital to have on hand because children do spike high fevers that can make you panic when you see the numbers on the thermometer. If you don’t end up needing it for your baby’s first winter, it will keep and you’ll still have it on hand if they need it for teething. It can seem like your baby’s first cold or flu lasts forever. You wonder how many more days or nights it will go on without relief in sight. But, even if it doesn’t feel like it, it will pass. And you’ll start to feel more confident about your ability to handle these slight health scares as they crop up. Just be kind to your baby when they are fighting their cold or flu — they’re going to be more cranky and needier than usual. Remember to be kind to yourself. You might not be the sick one in the family, but your baby’s illness impacts you too. Try to rest when your baby is and let those dirty dishes stack up if you have to. Did you have any go-to products you loved to use when your baby was sick? Let us know about them in the comments section — we’re also on the lookout for products that help babies and moms. And please share this article with your fellow parents!